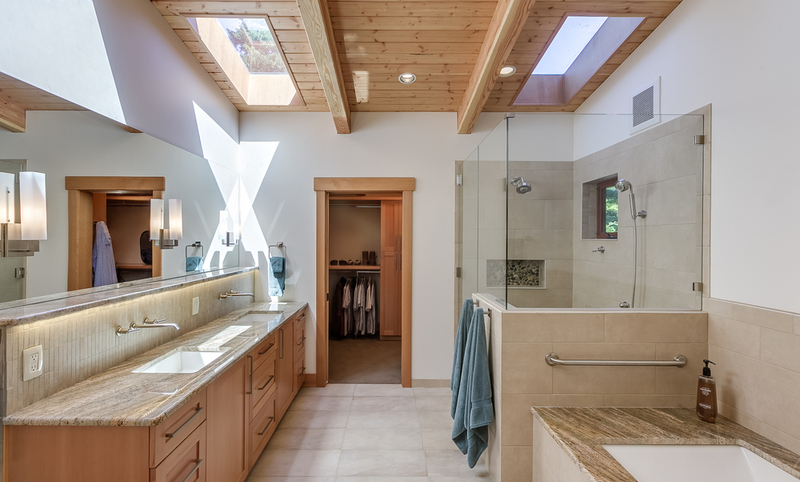 We create bathrooms that function with your lifestyle. Attention to the details is what makes our projects succeed. 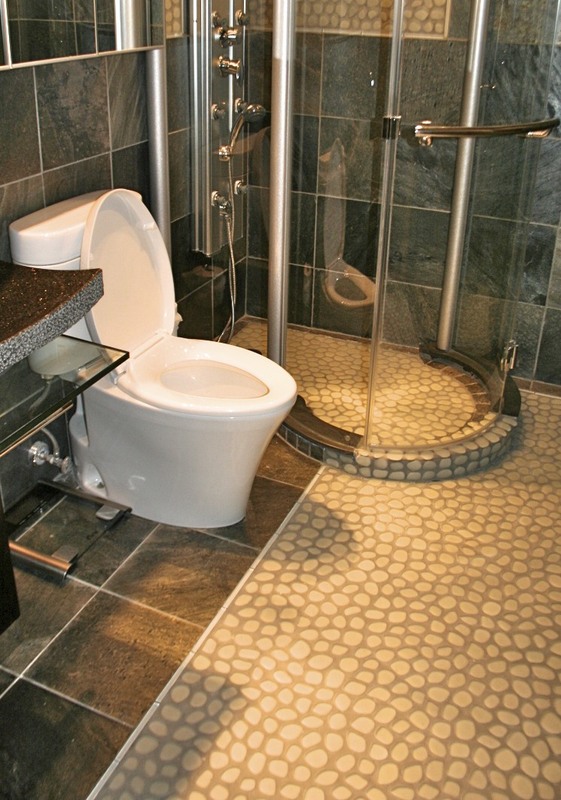 "Nina took our needs and transformed our bathroom into a wonderful environment". The collaboration of your dreams with our expertise and vision will make your living environment an inspired joy. I consider the materials used (whether they are eco friendly), and can also help you with the selection of finishes, fixtures, cabinetry design, materials, lighting design and hardware selections. 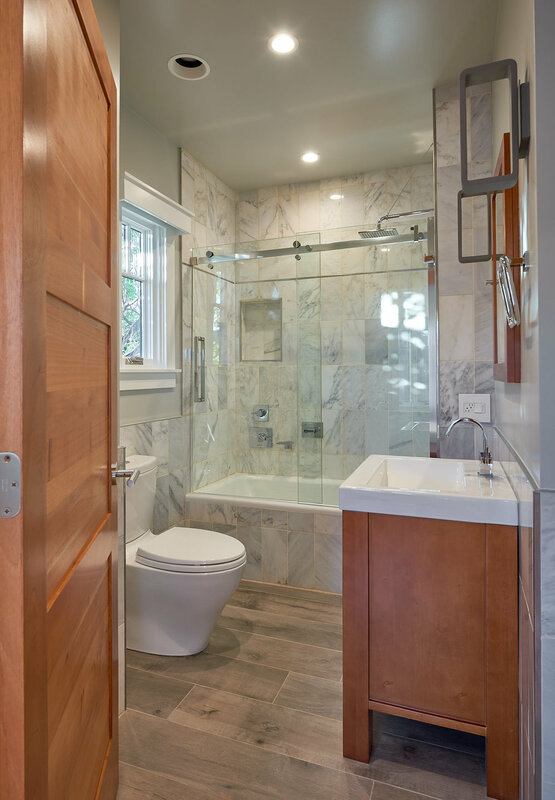 A bathroom remodel is a big investment in the continued value of your home, and will reflect the quality of the whole house. 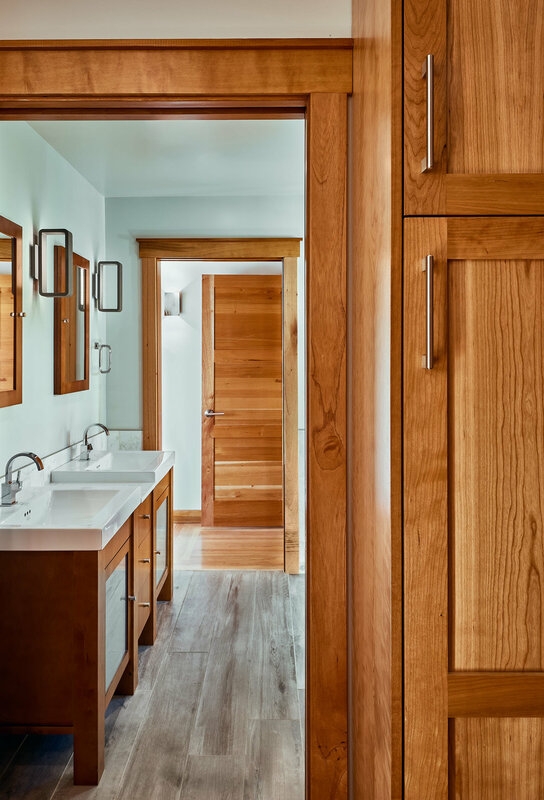 The warmth of the Spanish Cedar doors and cabinets, accent the Grey Porcelain Tiles in this Master Bathroom. 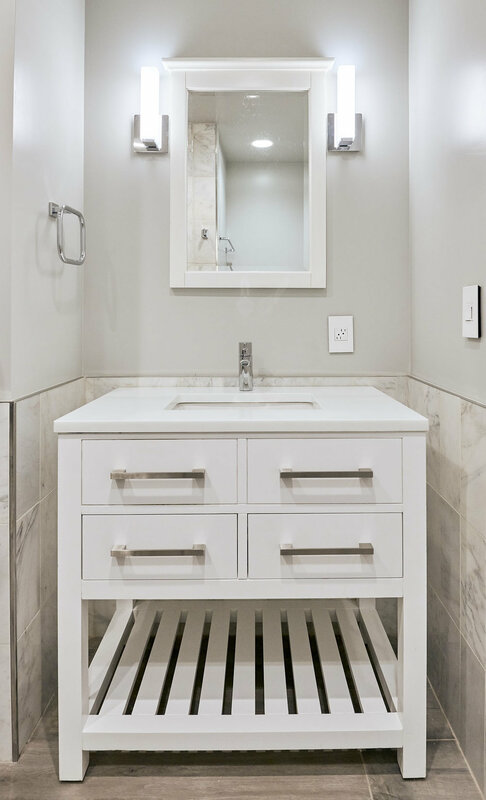 White Carrera Marble tiles, White Quartz Counter, White Cabinet all make for a classic bathroom. White Carrera Marble tile is a timeless material used in verticals, Porcelain tile floor looks like driftwood and contrasts nicely with the wood accents.